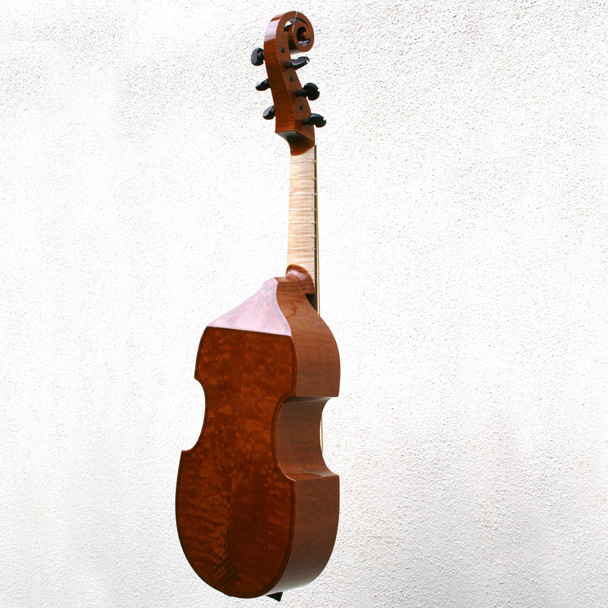 Only the cut down body of the original survives having been converted to a viola at some stage. 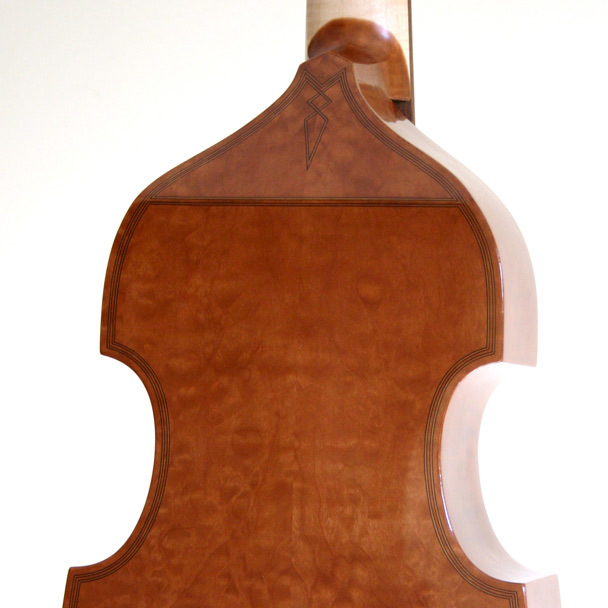 In my copies I have tried to recreate its original form and as such it works beautifully with a clear even tone. 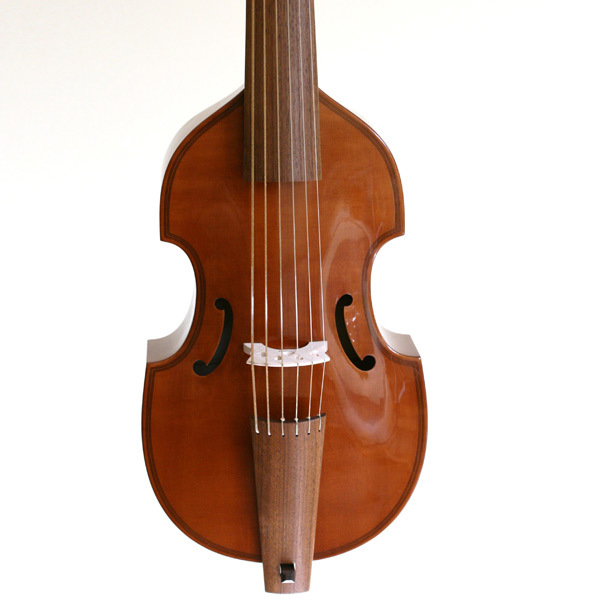 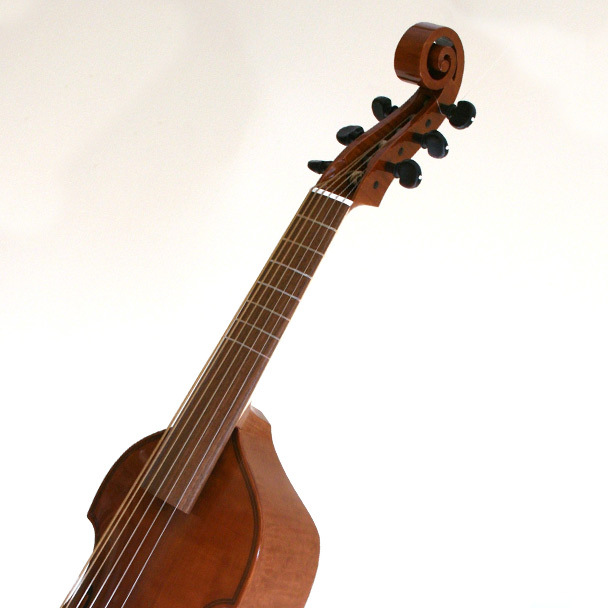 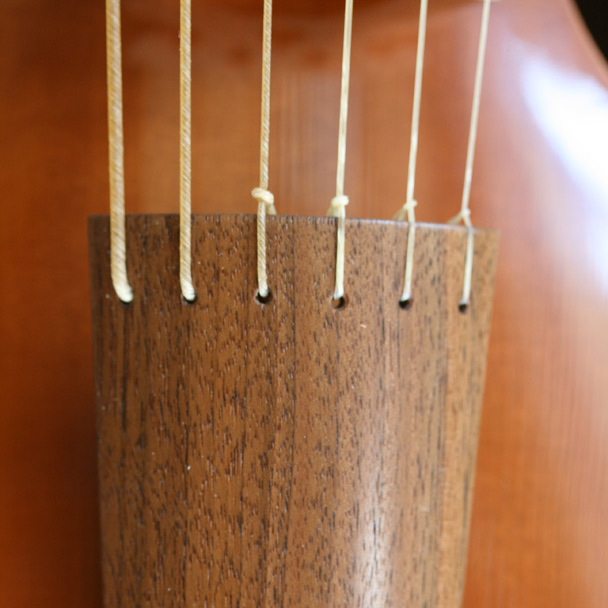 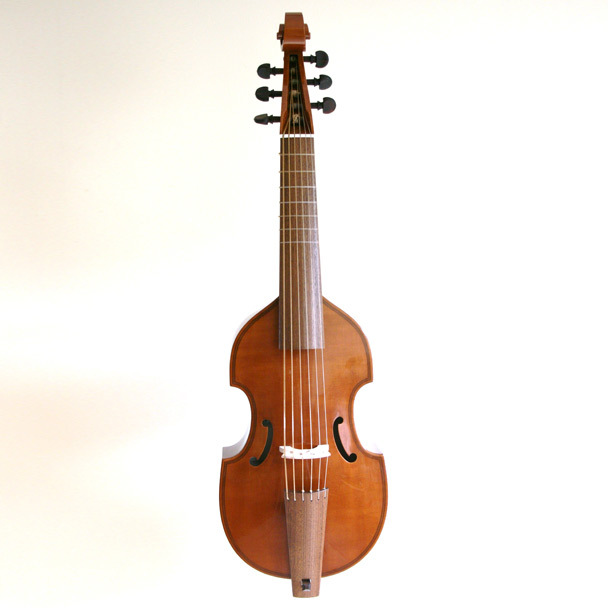 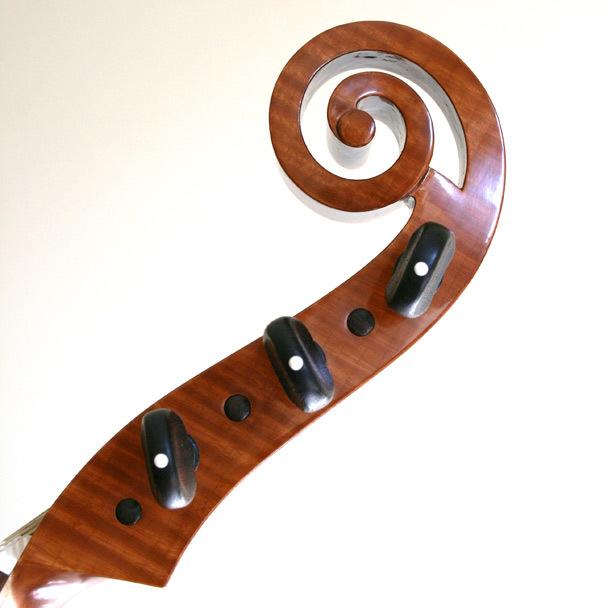 At its longest string length of 40.5cm it conforms to a large consort treble being half the string length of a full sized consort bass as specified in the Talbot manuscript, suitable for A -415 or lower. 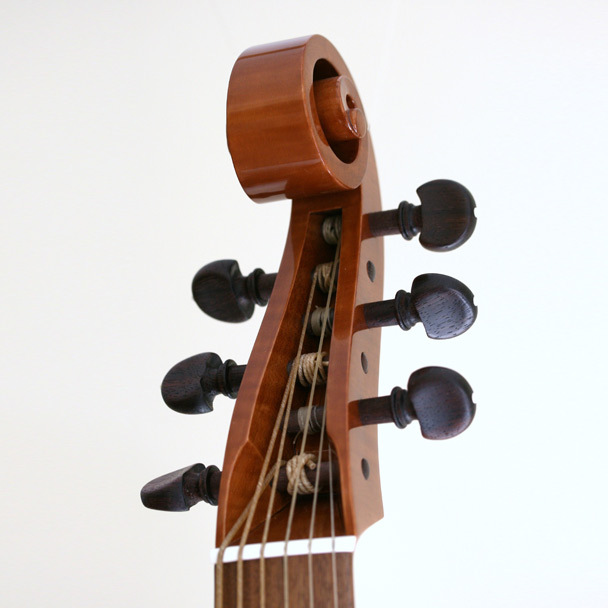 Equally at the shorter string length of 38 cm it is a good all round instrument capable of being tuned to A-440 when needed.